Sales targets can mean very different things in retail. They can mean the actual sale of a product or in some case, generating leads and qualifying prospects. The retail sector is quite different to how it was, say, 50 years ago. You’ve got face to face sales in retail stores, telephone shopping via both catalogues, press adverts and TV and also online shopping. Therefore, different types of targets might be set, depending upon the retail environment in which you’re working. If you’re working in a retail store, you’re going to be interacting face to face with the customer. Sales targets here will often be set according to the ‘footfall’ which passed through the store. Footfall is simply a retail term which describes the number of people who pass through your store each day. Here, it’s important to recognise that footfall is basically split up into two distinct groups – those who know what they want to buy and are coming into the store with the specific aim of purchasing a particular product and those who are just ‘browsing’. The ways in which you’ll be trained to improve your sales figures will include asking people who may simply be browsing if you can help them. This can sometimes prompt a ‘window shopper’ or browser into becoming a buyer. Then, the other two areas where you may be able to increase sales are through cross-selling and upselling. You’ll be trained in both of these techniques. Cross-selling is where a person has expressed an interest in a particular product and you can identify an opportunity to sell them additional related goods. Upselling is where you try to sell a more advanced (and more costly) version of a particular product to somebody who has expressed an interest in a product. In setting targets for the above groups, the company is likely to set higher targets for renewals, then lapsed customers and then a lower target for new sales. Have we provided the salesperson with the proper training and product knowledge? Is the area we’ve given the salesperson too difficult or too broad? Is there a particular problem or issue with the product we’re trying to sell? How are our competitors faring in the market and could lower sales just be due to a slump or a seasonal variation? Whether it’s in a store, over the phone or on the Internet, it’s important that a company listens to any concerns that the sales staff might have when it comes to reaching targets. It’s also important to gauge feedback from customers which can be done by carrying out occasional customer perception surveys and through call monitoring. Sales are the lifeblood of all retail companies and salespeople understand the importance of being set targets and often thrive within such an environment. 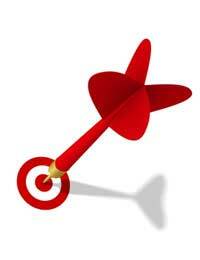 Therefore, if targets are being met, the rewards and benefits should reflect that. However, if targets are not being met, it’s important to try to get to the bottom of the problem and to put that right quickly as lost sales inevitably mean gains for your competitors.